Children in Camarines Sur often perform poorly in school due to the many challenges that prevent them from receiving a quality education. Inadequate school facilities, parents inability to pay for school fees, and outdated learning materials all contribute to the problem. Teachers often lack the skills and training to properly motivate their students. Many households have no electricity, and the poor lighting makes it difficult for students to do their homework after school. Children also have to look after younger siblings or help their parents with their work. These extra responsibilities often lead to a high rate of student absenteeism. 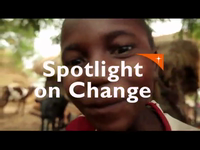 Many children choose to drop out of school altogether to work in order to augment their family's income. Students don't usually continue their education past elementary school because of the lack of higher-level institutions in the area. Alternative learning and trade schools are all far away and transportation costs are high. As a result, it is difficult for children to further their education and obtain skills that will help them gain employment. Infant and maternal mortality rates are high, and are due to the lack of local medical facilities and trained personnel. Health centres do not have enough medicine, and although herbal remedies are available, people do not have enough knowledge about their proper use for them to be effective. Coughs and colds often affect children's health. 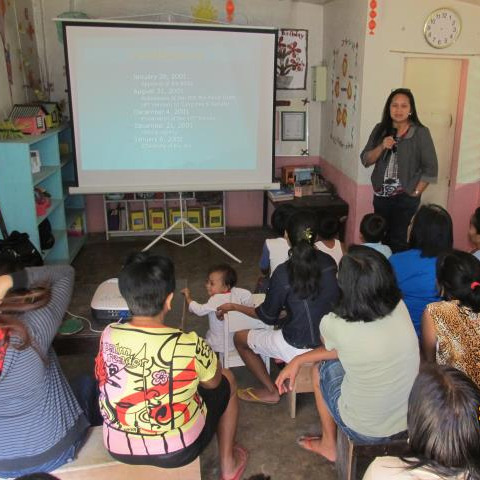 There is a significant incidence of infant and child malnutrition in Camarines Sur. Families often struggle to provide enough food for their children, and parents lack nutrition education. 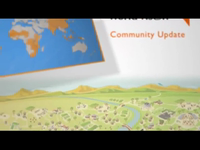 The community regularly experiences a lean season from June to September. Many children under the age of five are underweight, and, in certain areas of the community, more than 90% of children are malnourished. Diarrhea is prevalent and problematic among children in the community. This is mainly because a significant number of families do not have access to potable drinking water or sanitary toilets. 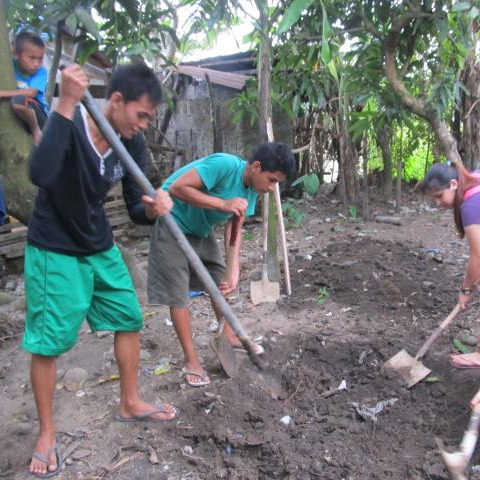 Income generation and crop production in Camarines Sur are hampered by many factors. Unpredictable natural disasters, such as typhoons and heavy rains, are the primary problems affecting farmers. Modern equipment that would increase crop yields is very expensive, and famers lack the necessary capital to expand their businesses. Additionally, farmers lack quality seeds and planting materials, and regularly face defective irrigation facilities, pests, and the spread of disease. Families are not well educated about increasing their earnings at market, and the government provides very little support. The Camarines Sur community is located approximately 450 km from Manila, the capital of the Philippines. Out of 44 provinces in the country, the area is ranked as the third poorest. Located in the typhoon belt of the country, people's work is severely hampered by the typhoons and flooding that occur for half the year from June to December. Residents of Camarines Sur are mostly farmers and fishermen. Close to 60% of the total land area is used for agriculture. Major crops include rice, coconut, cassava, vegetables, abaca, sugarcane, coffee, and tropical fruits. The area is also surrounded by vast aquatic resources and fishing grounds. Families here earn less than half of the minimum amount required for survival, as estimated by the Filipino government. This prevents them from meeting their basic needs. People experience limited access to basic social services, a lack of facilities, minimal government support, and little community participation in local development activities. Partner with the Department of Education and the local government to improve the local educational system. Ensure all children can attend school. Encourage parents to value, support, and prioritize their children's education. Enhance the abilities of community leaders and teachers to access resources to improve learning facilities and equipment. Teach parents about the available health services and how to access them, especially government initiated health programs. Conduct training for families and local health care practitioners about preparing nutritious foods from locally available sources, diversifying foods, and fortifying foods with nutrients. Identify and diversify alternative income-generating activities. Promote the value of family savings. Train farmers in improved production practices in order to increase their crop yields. Assist fishermen to increase their catch, as well as advocate for fair and beneficial marketing systems. Introduce natural farming techniques to increase production and income while also protecting the environment from harmful pollutants.